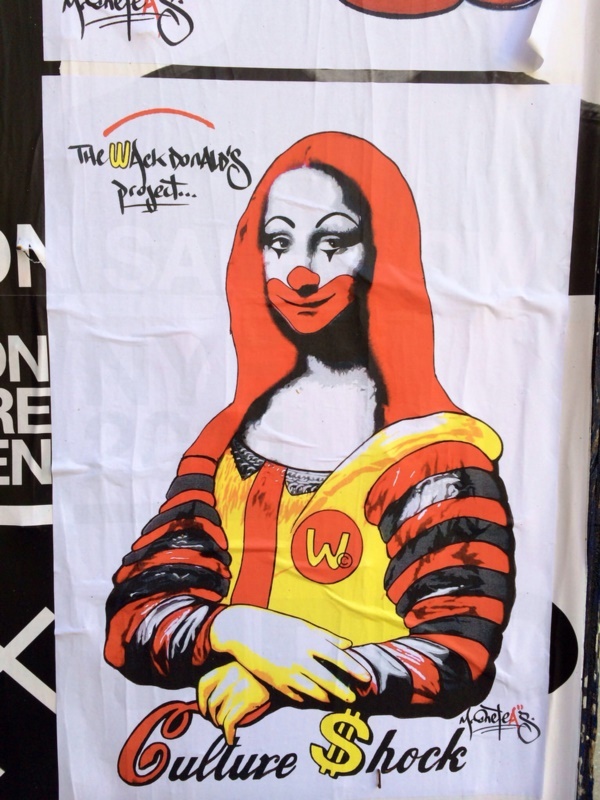 Monalisa doing her groceries just like you and me in a hypermarket! 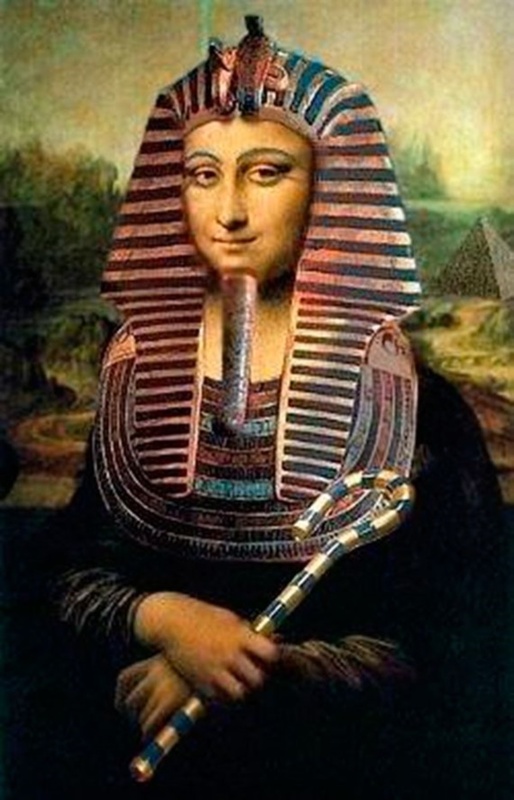 I couldn’t help but smile at the plight of women over centuries! This upgradation definitely proves that no woman is different, and there is no woman who does not like to shop!For kids how to draw an eye amazing tutorials. 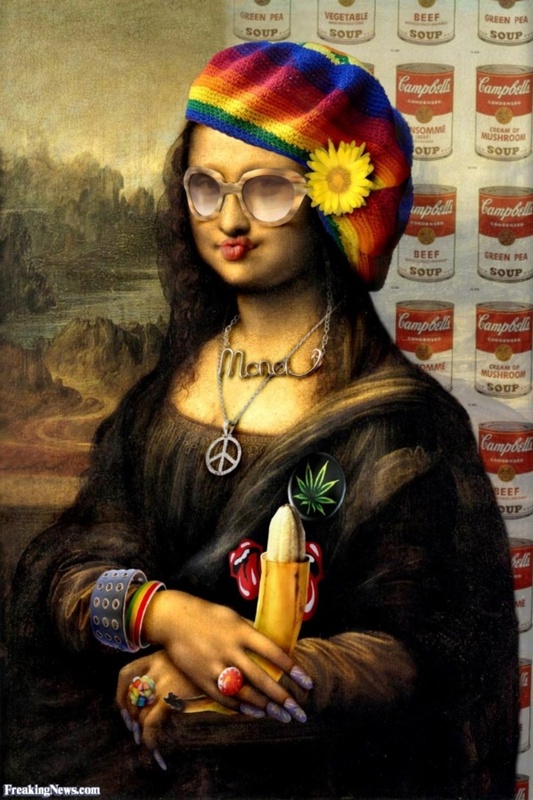 And the selfie craze has time travelled and bitten Mona Lisa on the &*$%#@! 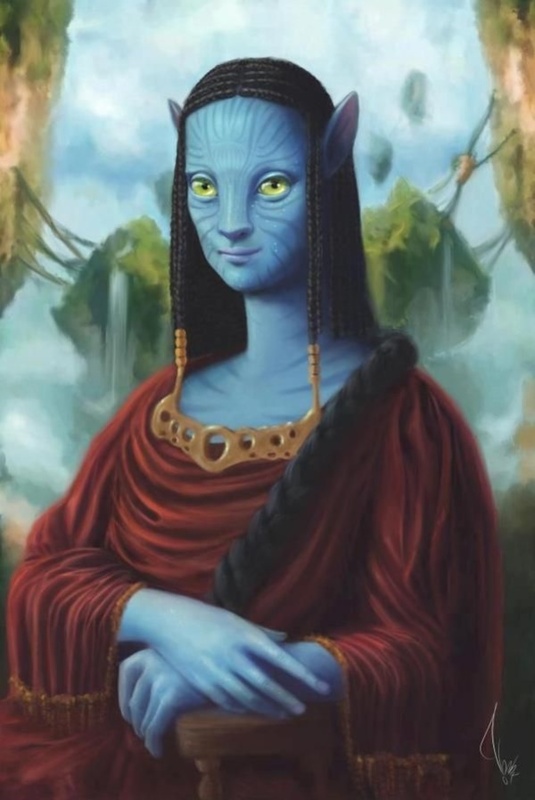 Heh Heh! 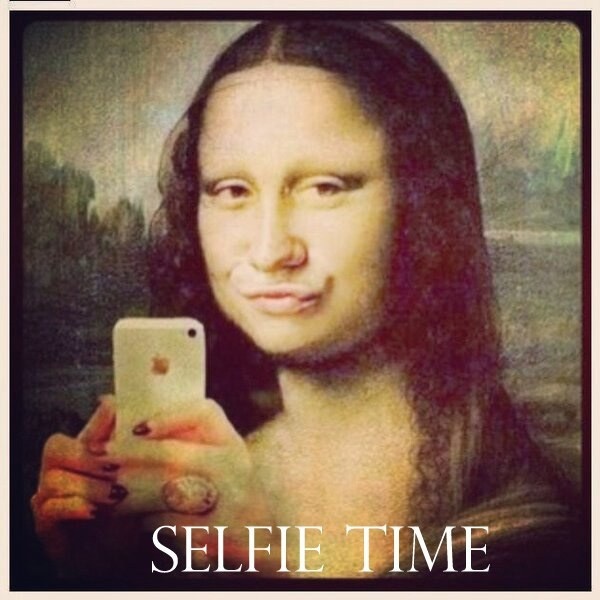 And did you think only twenty first century people like taking their own photos? We love going to beer bashes. 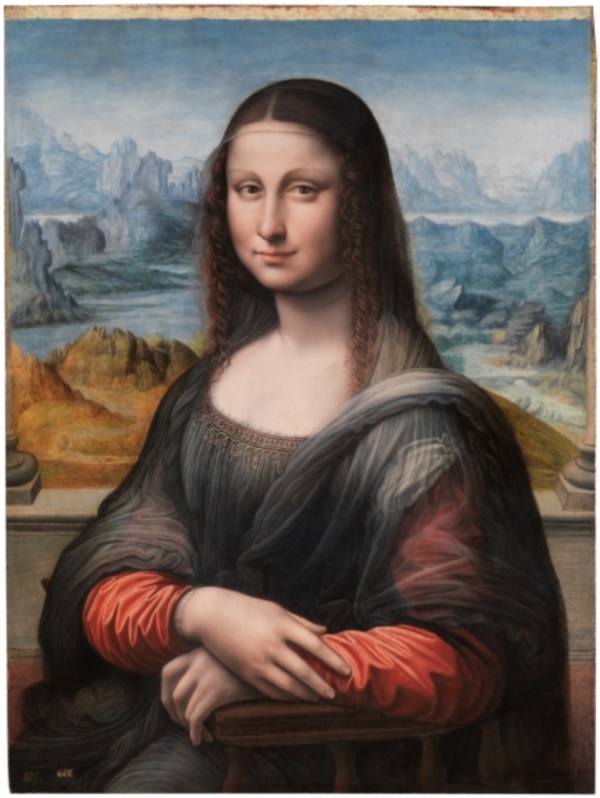 Apparently, so does Mona Lisa as seen here sporting a nice frothy beer mustache and holding a tankard in her hands! Did I spot a smile just there?Some magical superhero pencil drawing. How would you like it if you had to stand there for centuries and tolerate not only the human gawkers but also flies and insects sitting on you? You would kill for a fly swatter, right? 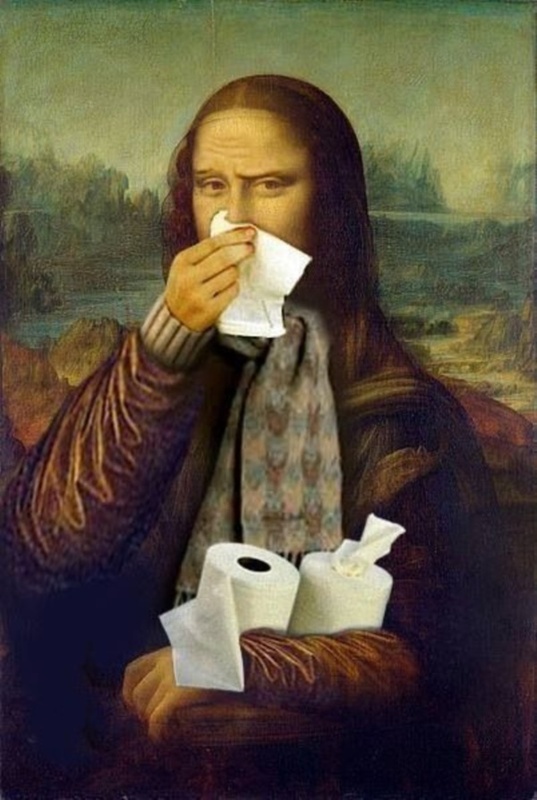 Well, this Mona Lisa has one to swat the irritating insect right on her nose. 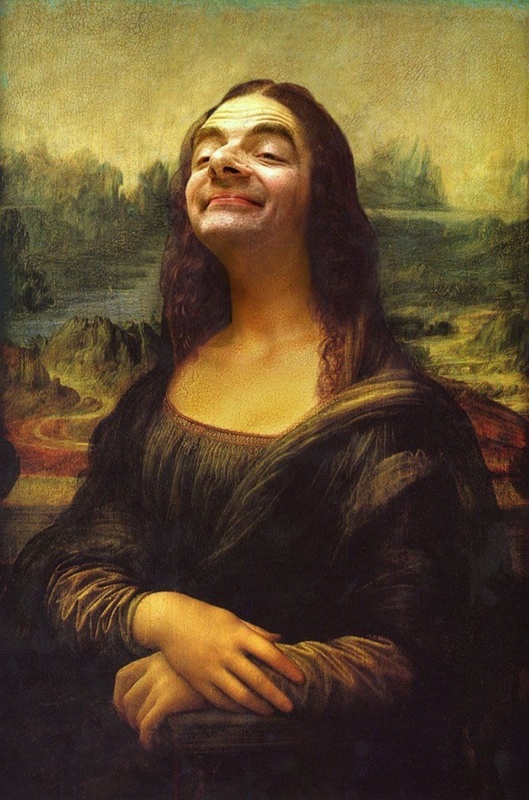 Three famous paintings and three funny poses all combine to make something definitely worth a laugh. 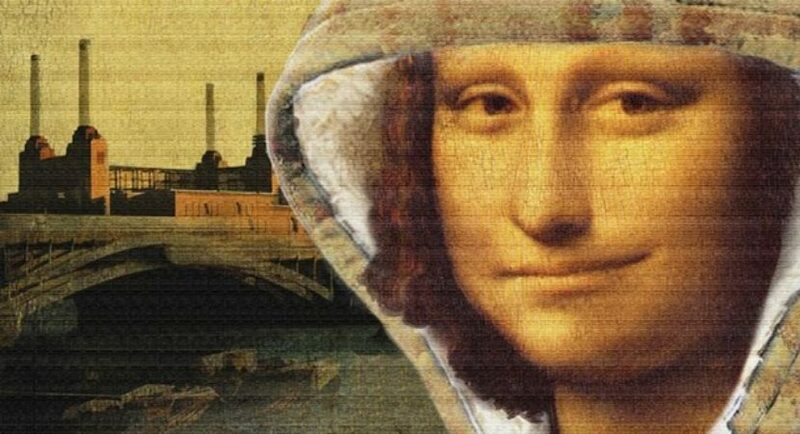 Mona Lisa is busy taking a “groupfie” in this one and if you are not laughing by now, there is something really wrong with you! 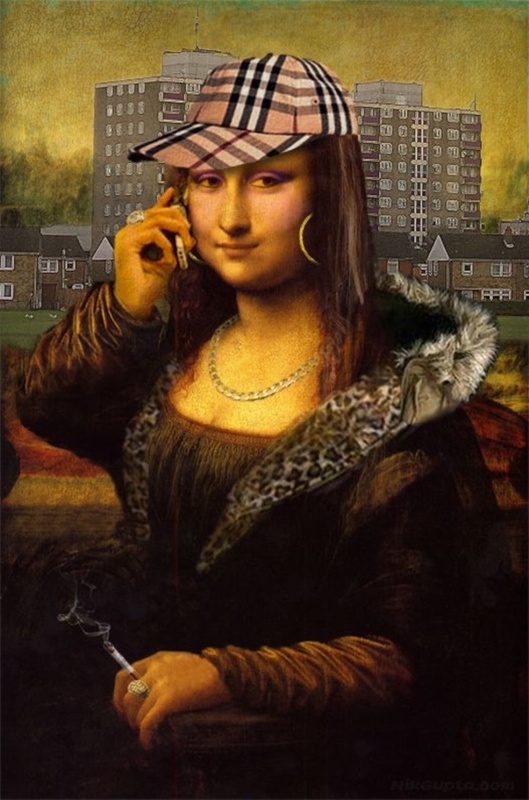 She has finally decided to take all that the digital age offers. A pair of colored goggles, headphones, smartphone and who can ignore the junk food! 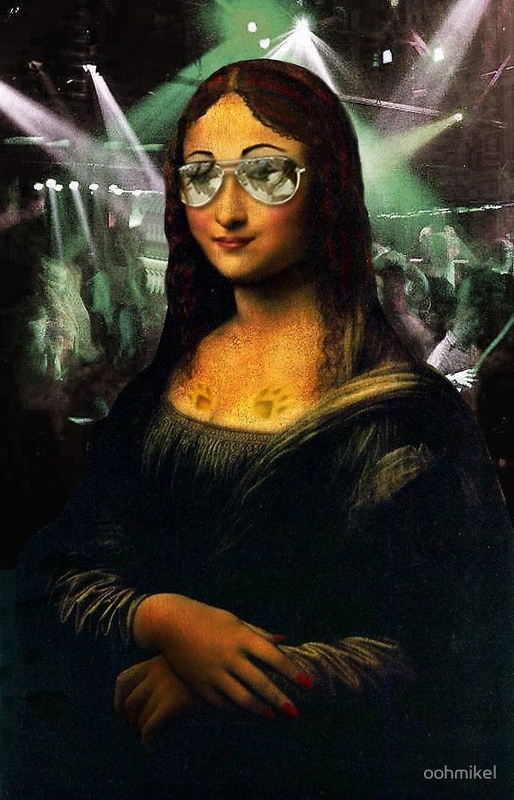 Go for it, Mona Yo-Lisa! 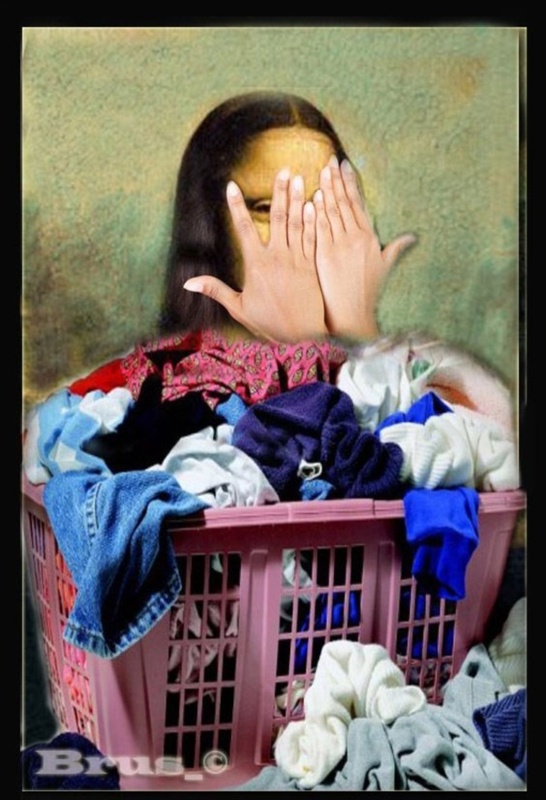 We all have to do our own laundry and so does Mona Lisa if she wants her clothes pristine over the years. 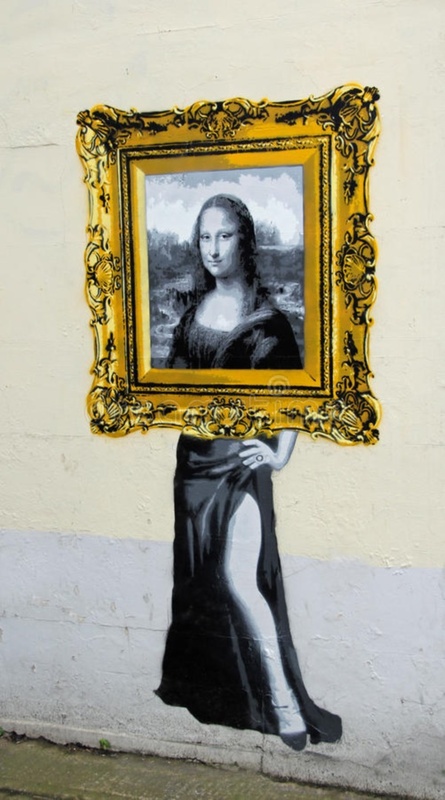 So Mona has posed with her iron and board in this painting that will have you in splits. 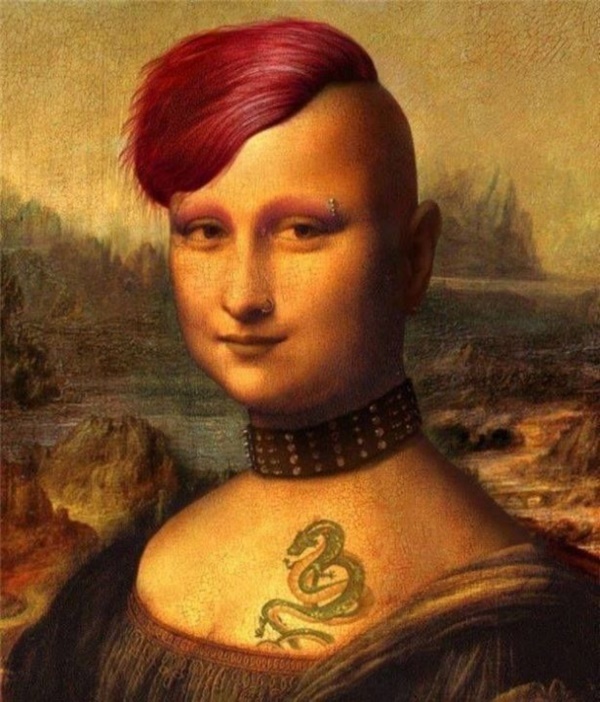 Mona Lisa has every right to have access to body art and tattoos and this rendition of hers shows her off in a strapless dress covered with many tattoos. 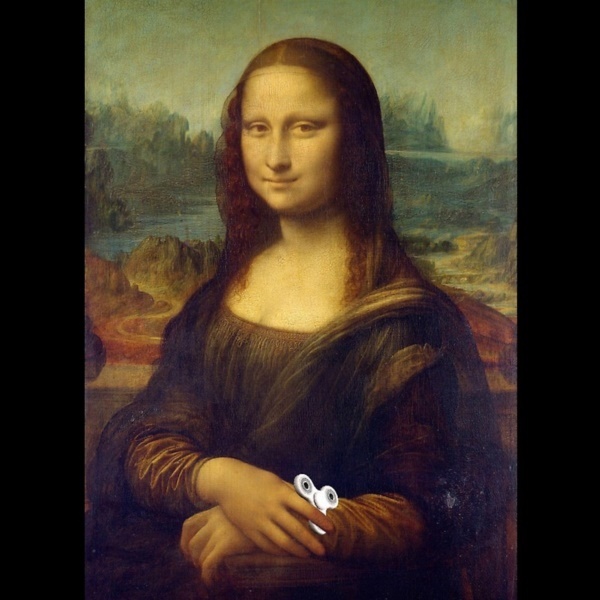 I am sure it must be boring like hell to stand there for centuries and so we have gifted Mona Lisa a fidgit -spinner to pass away the idle hours when no one is around. 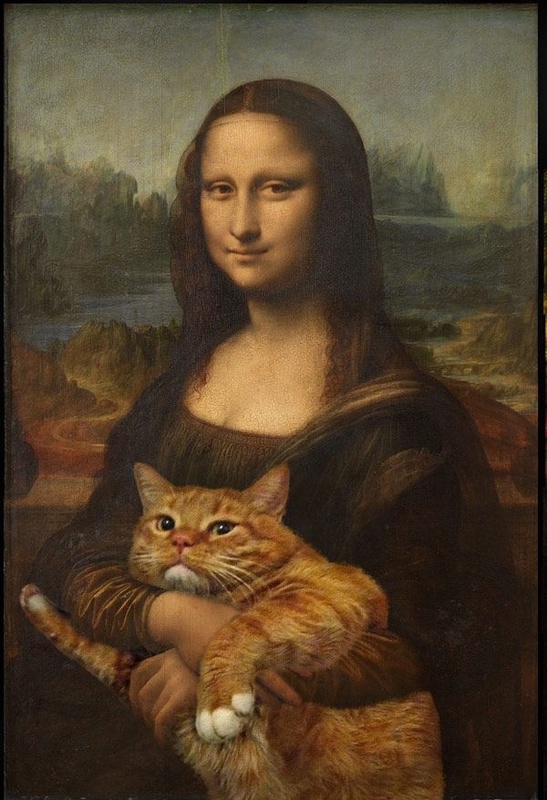 Mona Lisa cuddling a cat is a perfect painting to hang in the homes of cat lovers and what’s more, you can laugh at the serious Lisa with an equally somber fat cat in her arms! 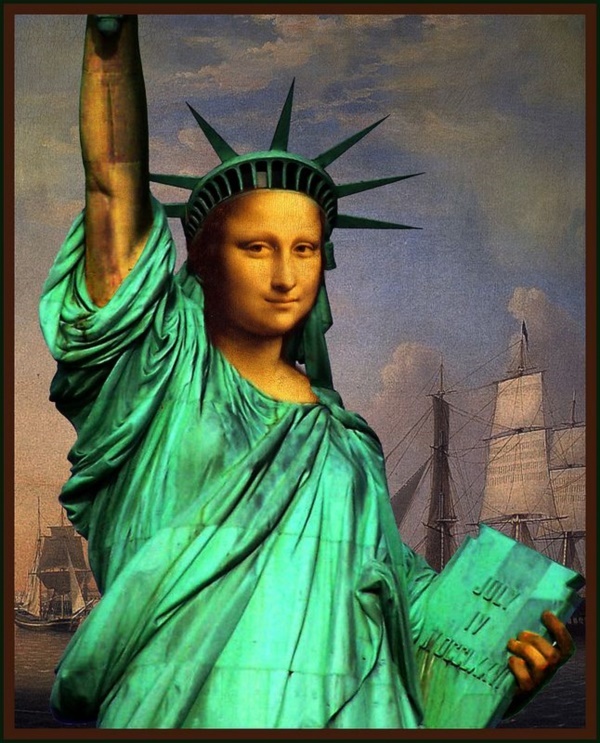 If Mona is ok with being gawked at in the midst of New York, then she can replace the Statue of Liberty, who might like a nice and paid vacation in Paris at the Louvre, instead. 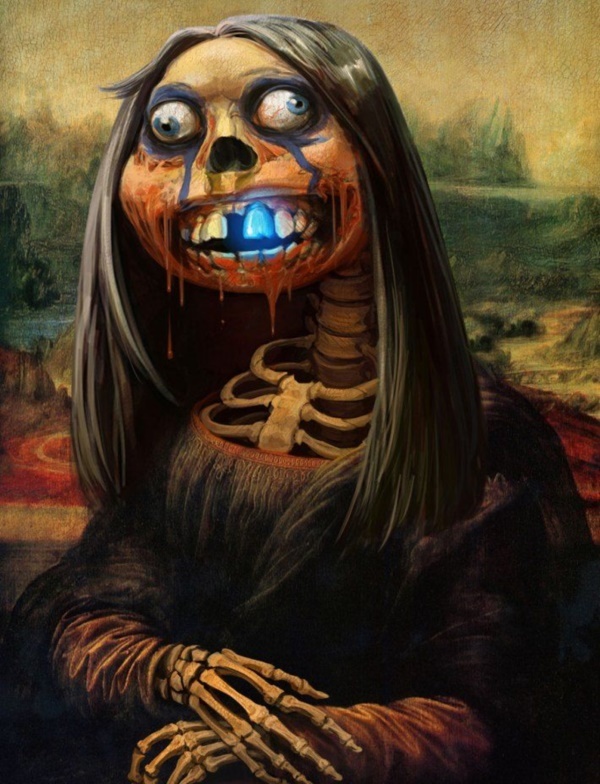 Mona Lisa with straightened hair serving you all kinds of Mac Donald’s treats is a junk food addict’s dream painting. 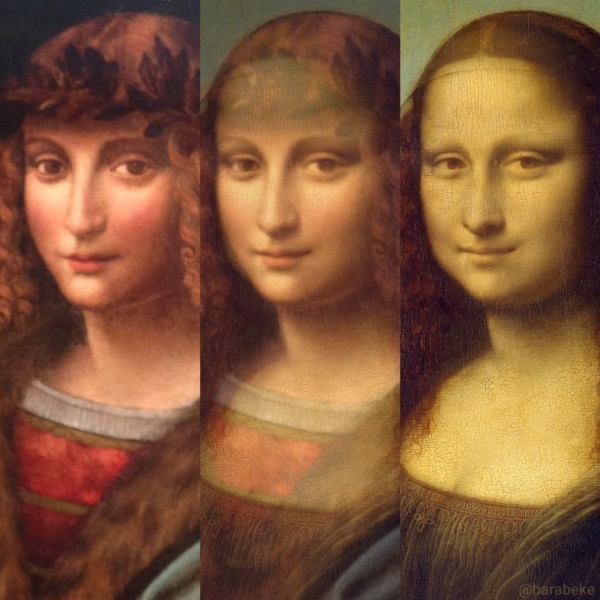 I could not help but share this hilarious Monalisa painting upgradations after 500 years. 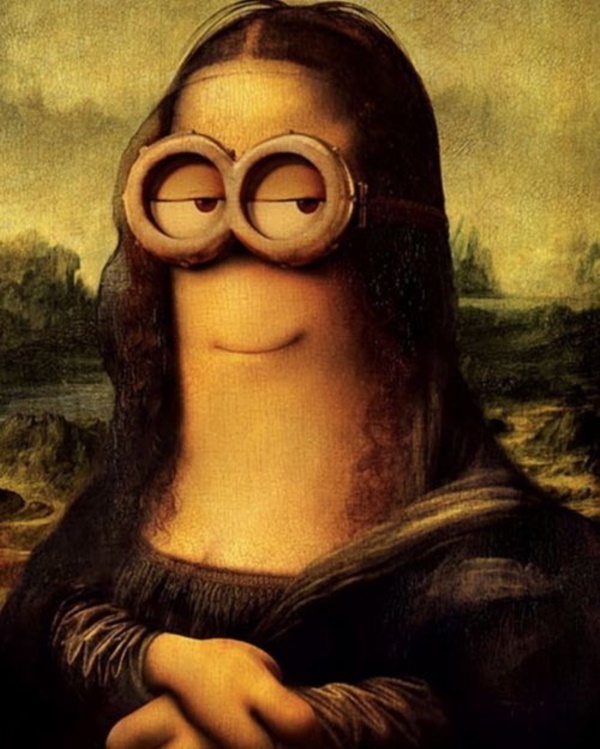 Here we have Da Vinci’s immortal painting made unbearably funny by a minion’s face replacing Mona Lisa’s half smile. Again, who would want to stand there forever without something to do? 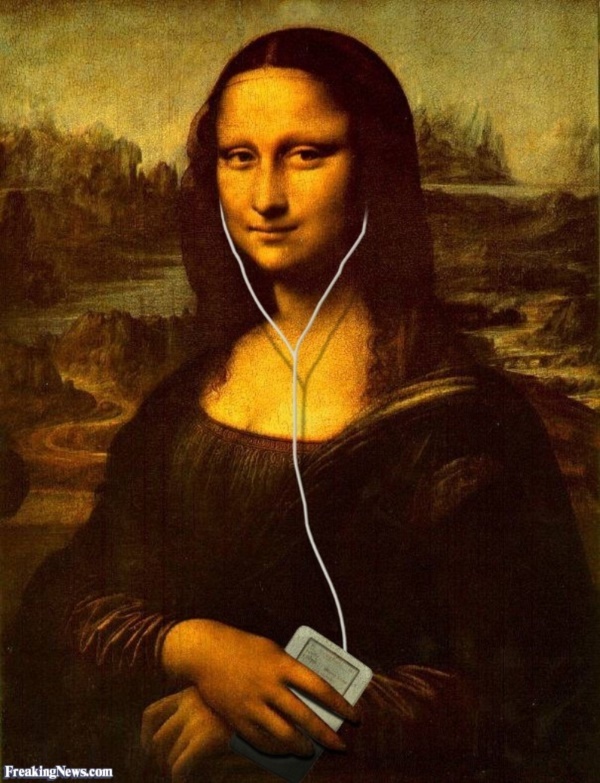 So Mona Lisa can listen to music on her iPod while waiting for more people to admire her. 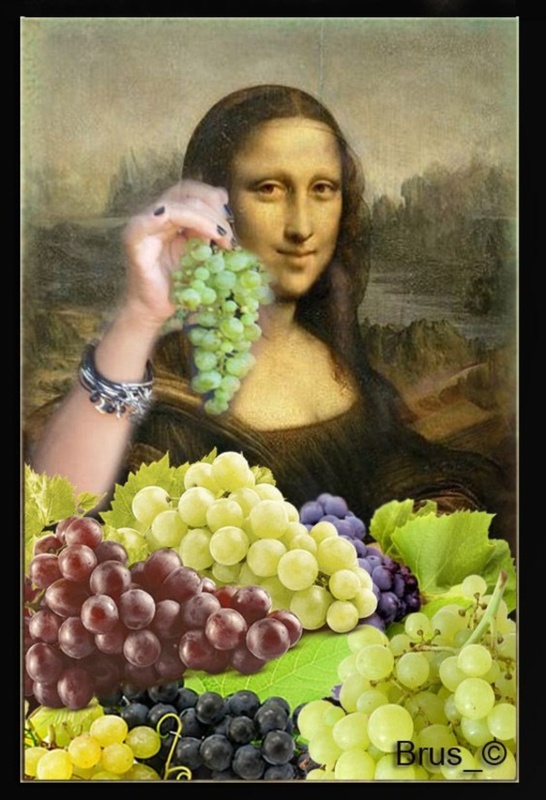 Mona Lisa in dungarees picking grapes at a vineyard – how would you like to own that vineyard or visit it? 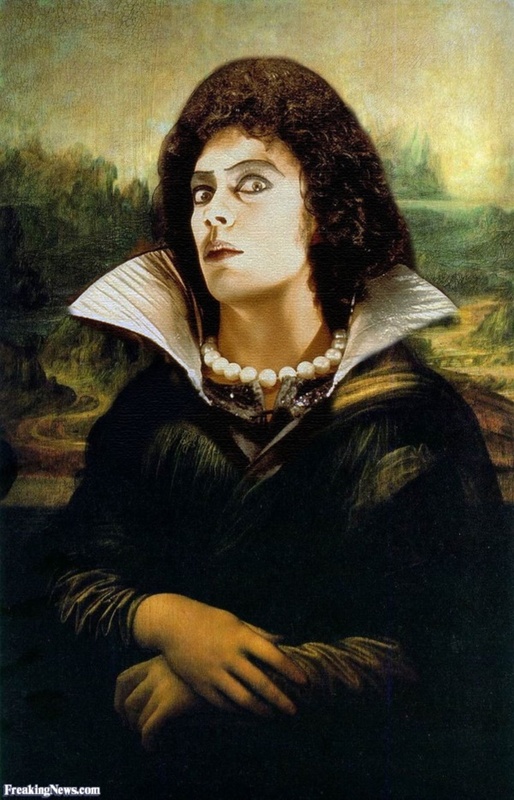 Funny yet almost a dream come true, isn’t it? 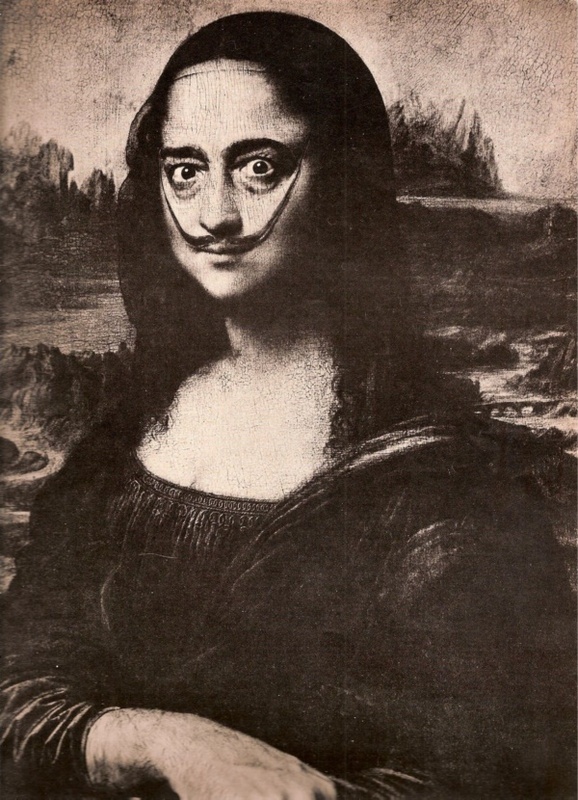 This for sure had to be on the list of hilarious Monalisa painting upgradations after 500 years. 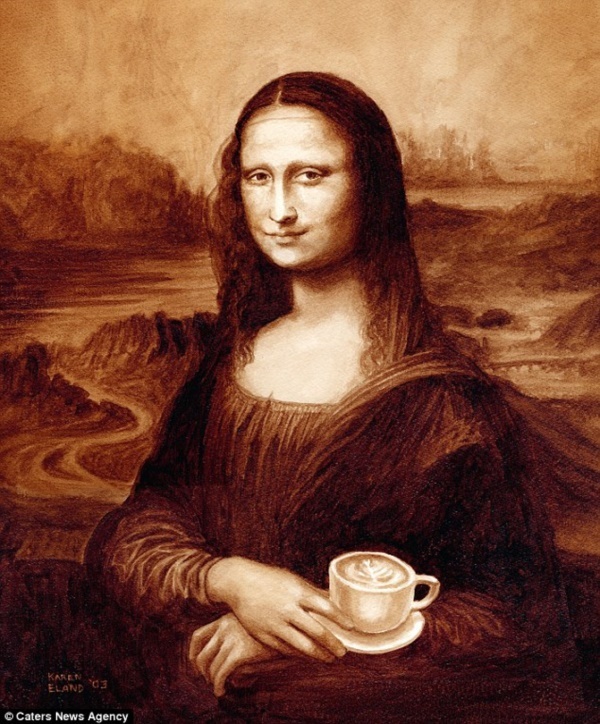 We all need our caffeine kicks and so does this lady sipping away while looking her enigmatic best. And here you have her playing a restroom attendant’s role with the signage and everything. 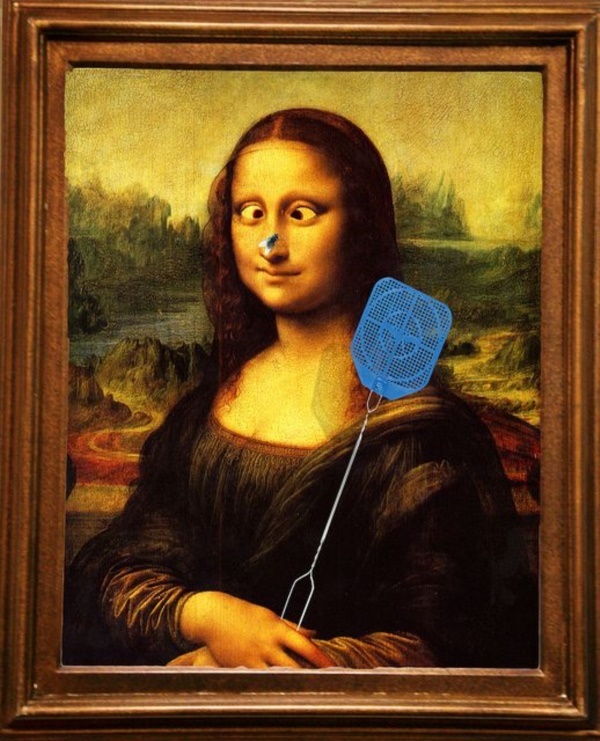 You can actually hang this if you have a business establishment for some da Vinci humor. I am sure, had she been born now, she would have posed like this. 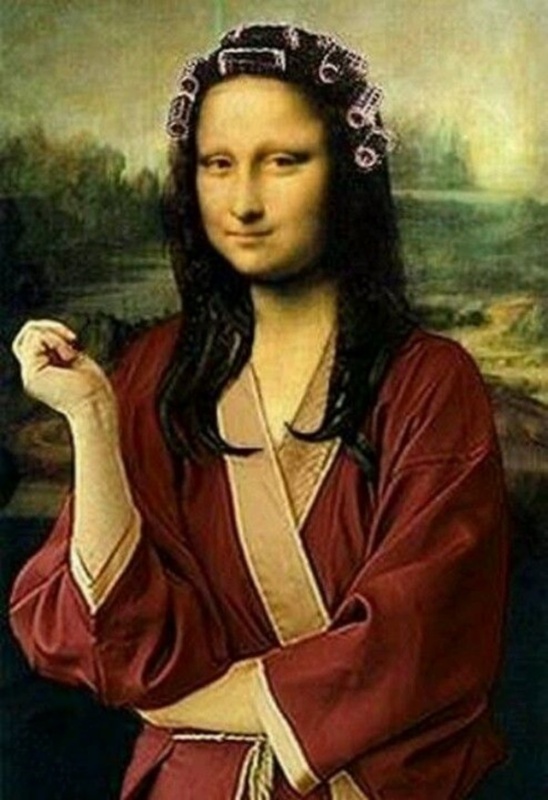 Mona Lisa would have liked social media and would be dressed in a simple shirt and not a gown. Ha HaHa! 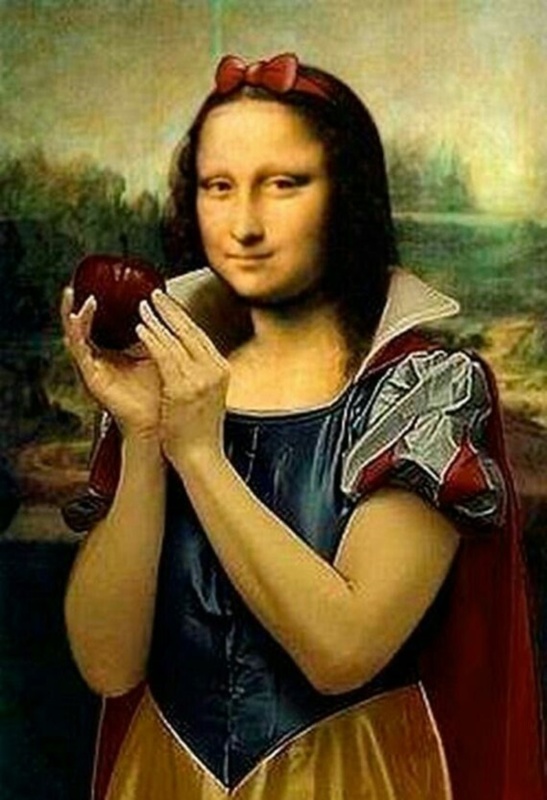 These hilarious Monalisa painting upgradations after 500 years are so funny and imaginative, that you must get one for yourself soon!